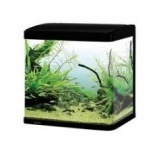 Aqua One Lifetsyle 21 aquarium in gloss black delivers style, versatility and functionality with ease of use ensuring a successful first experience in fish keeping. 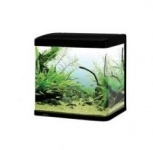 Aqua One Lifetsyle 29 aquarium in gloss black delivers style, versatility and functionality with ease of use ensuring a successful first experience in fish keeping. Aqua One Lifetsyle 52 aquarium and cabinet in moon grey with gloss black delivers style, versatility and functionality with ease of use ensuring a successful first experience in fish keeping. Aqua One Lifetsyle 76 aquarium and cabinet in moon grey with gloss black delivers style, versatility and functionality with ease of use ensuring a successful first experience in fish keeping.